Application Programming Interface, abbreviated as API is a messenger which is an essential requirement of a modern enterprise. It helps in processing requests and ensures that your business is running smoothly. Be it enabling data, application or device, API is an all-rounder. Almost all the sectors benefit from API. In short, API is an online programming interface of your business organization. It acts as a backbone for modern connectivity by providing data-sharing link among applications. Want to create a channel for your company to sell your products and services? Want to promote your business? Do not worry, contact our experts at Tech Support Dubai for premium API Integration service. Want to get the best API Integration service in Dubai? Contact us today. We assure you of services which will improve your business’s standards. Since we have years of experience in dealing with integration services using communication methods like SOAP, REST, XML-RPC, etc., contacting us is your ideal decision. You get the best application which meets your business requirements. We help in developing customized integration according to your needs. Synchronizing data between two software using API becomes easy. We offer you reliable services and that too at an affordable rate. Want to enjoy these facilities? 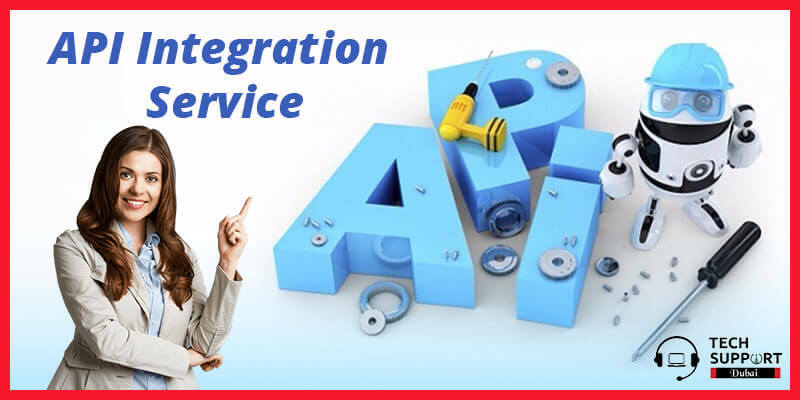 API Integration Service Company in Dubai is your ultimate choice.